Unbeatablesale.com, one of the leading retailers of online retail products has the Pearson College Div ethics and professional responsibility you've been looking for! Unbeatablesale.com's large collection of several Pearson College Div ethics and professional responsibility gives you the highest quality choices on the web. 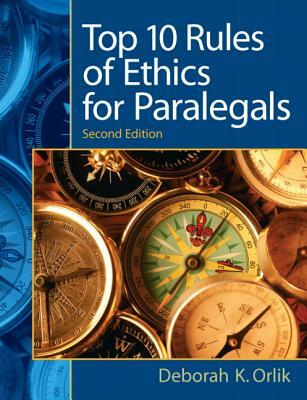 Top 10 Rules of Ethics for Paralegals By Orlik, Deborah K.
Along with our large quantity of in-stock online retail products, we offer the best price for our quality, brand-name products, with a price match guarantee. Pearson College Div ethics and professional responsibility even start as low as $52.45. Most of all, we pride ourselves on our superior customer service and customer satisfaction - it's what keeps us in business! Shopping for a gift and can't decide what to buy? No problem! We offer gift cards so you can shop hassle-free and always get the perfect gift. Shop Unbeatablesale.com with confidence today!